Imagine as a child having the freedom to bring up any topic for discussion as desired during family meals? For Jennifer Pippard, it was a wonderful way to grow up. “We often laugh now that the food may have not been so tasty — as there were no real cooks in our family — but the dinner table conversation was great and no topic was off limits,” said Pippard. Growing up in a small town in the state of Washington, Jennifer said she loved spending time at the family dinner table, which served as the place to find solutions to challenges facing their community at large. The United Farm Workers flag in Jennifer’s office is a hand-me-down from her father that was earned along one of these journeys, she said. For Jennifer, her family’s strong values made a big impact on her ability to view the world from a variety of viewpoints, cultures and economic backgrounds. While the family homestead gave Jennifer great confidence to express her thoughts and emotions, school turned out to be a very different experience. What started out as a bumpy road during her formative years, eventually turned into a gift of time with a caring educator. The nurturing and safe environment provided by the school’s principal helped Jennifer flourish. After receiving her bachelor’s degree in sociology from Western Washington University, Jennifer set out to serve as a Peace Corps volunteer in Ecuador, South America. After returning back to the U.S., Jennifer moved to Los Angeles and earned her Master of Social Work degree from the University of Southern California, where she earned the respect of her instructors. Dorothy Fleisher, program director at the W.M. Keck Foundation, described Jennifer as a “can-do person” while she was serving as her field instructor during the USC graduate program. “She’s a collaborator and she always figures out a way to get something done that really benefits kids and families,” Fleisher said. Jennifer focused her social work duties to serve children in foster care and family child care programs. Jennifer then went on to serve as the first project director of Healthy Beginnings/Comienzo Sano, a program that offered undocumented mothers social supports and connected them to a medical provider through community promotoras. She also spent time as a consultant working with various organizations, such as the “Children’s Planning Council,” which focused on building communities to best support children and families. 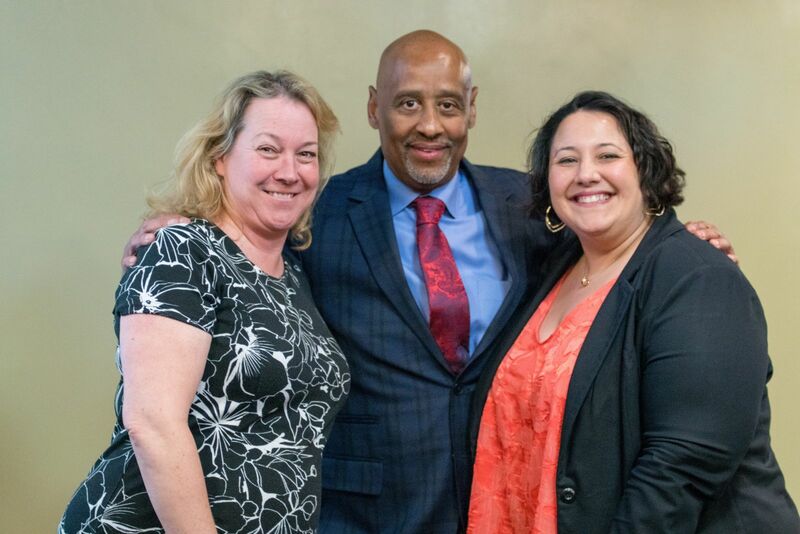 “Throughout my career, I have had a community organizing focus, and these experiences always stay with me, especially how to bring up the community voice and authentically be a respectful partner at the neighborhood level,” she said. Along the way, Jennifer established a reputation as staunch advocate for children. First 5 LA Commission Alternate Terry Ogawa recalled working with Jennifer at the City of Los Angeles’ Commission for Children, Youth and Their Families, where Ogawa served as executive director and Jennifer worked as the director of the Neighborhood Networks4Kids, which operated in each of the 14 city council districts. Jennifer started her journey at First 5 LA in 2003 in the Program & Planning and Community Investments Departments. Over the last 14 years, she moved from serving as a Senior Program Officer to the Director of Community Investments, to her current role as the Director of the Strategic Partnerships. Over the last 14 years, she has supported First 5 LA’s general operations and strategic planning efforts and led a range of large-scale initiatives such as “Prenatal through Three” (the beginnings of Best Start and later Welcome Baby) and supported others such as Partnerships for Families and more current efforts around trauma-informed systems change and built environments. Finding ways to maximize existing dollars invested in early childhood and improve the alignment of new resources. This year, Jennifer said, her department has strengthened or started new partnerships with organizations such as L.A. Partnership for Early Childhood Investment; L.A. Funders’ Collaborative; Southern California Grantmakers; L.A. Area Chamber of Commerce; L.A. Economic Development Corporation; USC Program for Environmental and Regional Equity; L.A. County Office of Strategic Public Private Partnerships; Sesame Street in Communities; California Community Foundation; Silicon Valley Community Foundation; and Council for a Strong America. Worked in partnership with California Community Foundation and the Liberty Hill Foundation in advocating for our immigrant families so they have education on the “know your rights” campaign and have access to supportive services in their community. 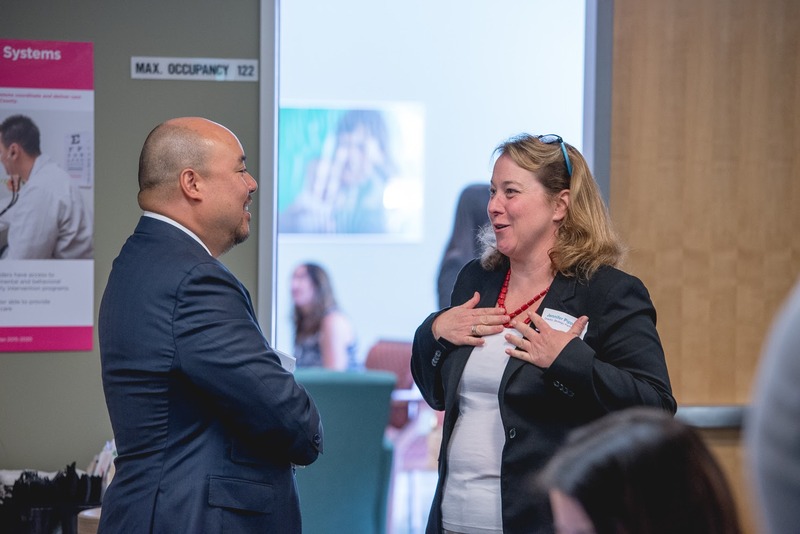 “This year Strategic Partnerships looks forward to building up the home visiting workforce, work in partnership to build community capacity and increase the overall number of advocates of our young children in Los Angeles,” Jennifer said. She is a fan of large dogs, but mainly her large Newfoundland dog, Cassie. She loves the outdoors and adventure travel.